The region’s largest hunting, fishing and boat show, the Kentucky Sportsman Show, returns and will again showcase exhibitors, demonstrations, seminars and interactive activities across a broad spectrum of industries including hunting, fishing, boating, archery, scuba, ATV, RV, camping, and more. Also included is outdoor apparel, equipment, guns, knives and more. 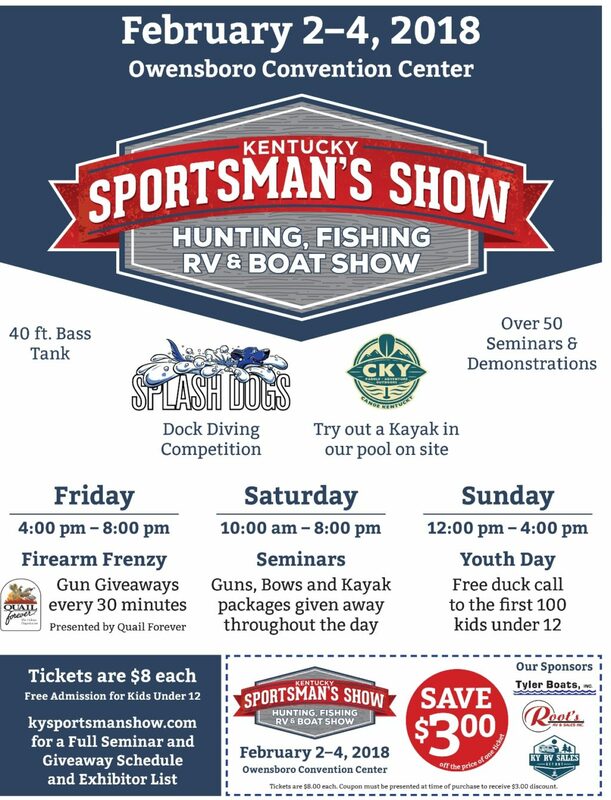 A full list of all activities at the Kentucky Sportsman’s Show may be found at www.kysportsmanshow.com.